At Christmas we celebrate the arrival of the King! In the middle ages the arrival of a king was announced by fanfare trumpets. 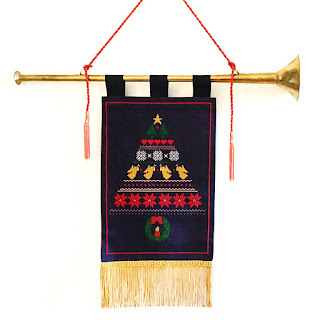 As part of our Christmas celebration we hang a fanfare trumpet on our fireplace mantle. It’s a special trumpet with a long straight tube that has a banner hanging on it. We found this trumpet in an arts and crafts store and added the banner. Ours is counted cross stitch banner that was inspired by a Christmas card. Angelic heralds announce the birth of the King, Jesus, the Light of the World. Fanfare, written for special state events, is played by brass instruments. The birth of a king is a special state event. 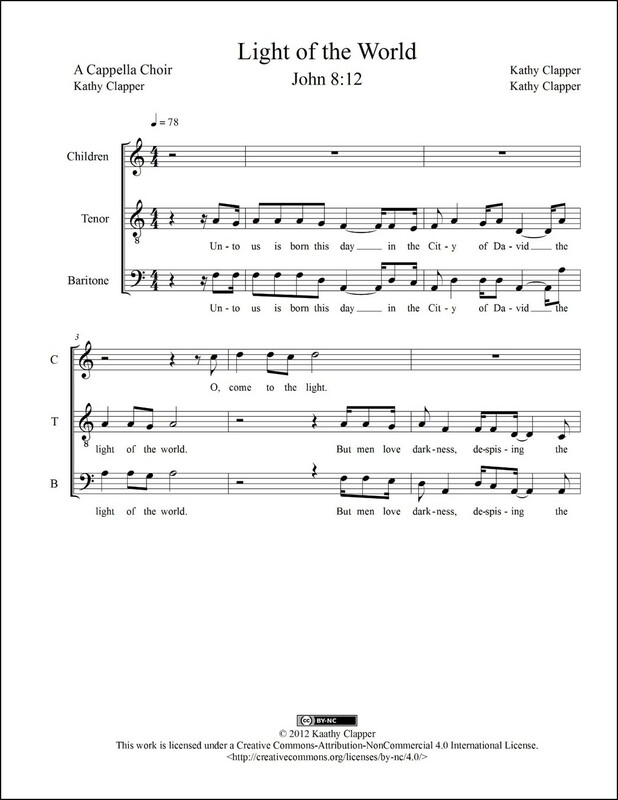 Here’s Christmas fanfare for the birth of the King of Kings, the Light of the World. From the album “Main Street – Songs for Today” this video is scrolling playback of a Christmas carol. 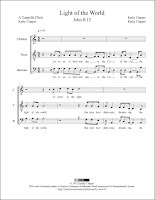 You can get print sheet music (PDF for a cappella choir) and/or digital sheet music (MusicXML™ for brass instruments) for Light of the World. 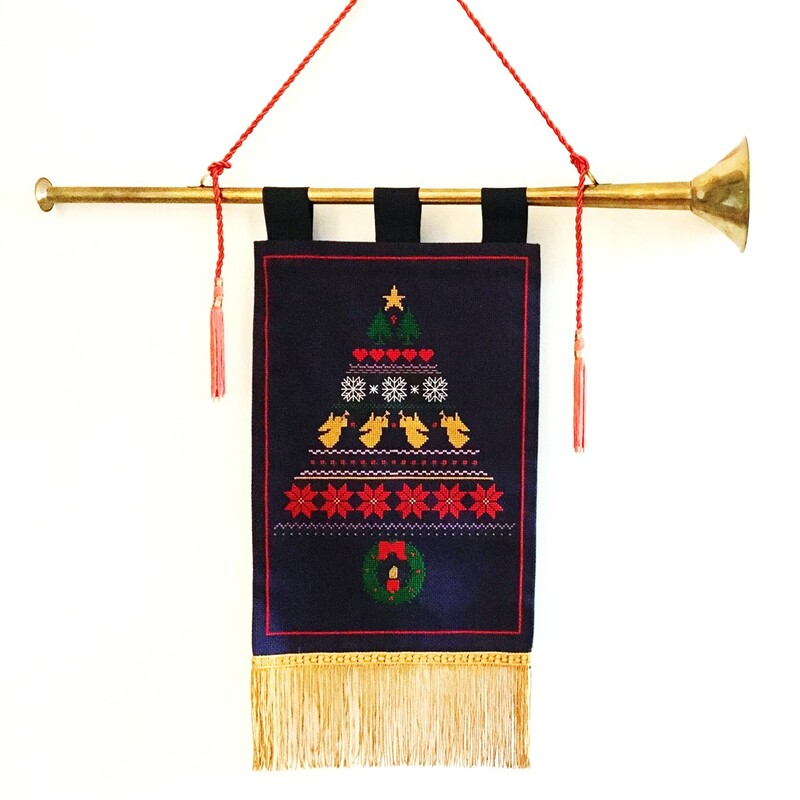 The counted cross stitch pattern of our trumpet banner is available here.